It is often the small things that make all of the difference in life. Just knowing that a little bit of effort has been placed into a certain area makes everything worthwhile. Take removals in Raynes Park, SW20 as an example – many companies will offer excellent quality of service and affordable prices, but few will take the details into consideration. However, we do it thoroughly. We at Moving Service offer all of the usual services, but our staff will go the extra mile. They'll make sure everything is packed and unpacked with proper care, and will leave you with a peace of mind from start to finish. That's the kind of business we run – one that caters to personal removal necessities. Do you want more information? Call us on 020 8746 4402, or just keep on reading. What Do Our Removal Services In SW20 Area Comprise Of? The services that we provide depend entirely on what you want from a removal company, and what your general 'removal needs' are. A medium to large size move will benefit from our standard removal package, where we will despatch a team of professionals to handle every aspect of the moving process. Packing, transportation and unpacking as well as secure furniture removals in Raynes Park are all part of the package. Are You Moving to Raynes Park? 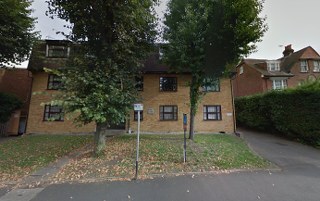 It is in South West London in the London borough of Merton, and is in the SW20 postcode area. It borders both New Malden and Wimbledon, the latter of which shares the area's love of sport. It is a place of wide open spaces, and home to many sports centres. The greenery on offer in the area is very impressive – there's Cottenham Park Recreation Ground for sports, and Cannon Hill Common, which serves its purpose as a Grade 1 Natural Conservation area. It's an area of great natural importance – and natural beauty. In fact, Cannon Hill Common is a popular spot for cycling and dog walking. There are multiple sports centres in and around the area – the Raynes Park Residents Lawn Tennis Club and the Malden Golf Club are both notable areas to join if you're an enthusiast in those particular past times. It is also well connected in terms of transport. Raynes Park station is a part of the National Rail network, and there are many trains bound for Central London every single day. Add on to this the large number of London bus services that are available in the area, and you'll soon see that it's easy to get where you need to be. A House Moving to Raynes Park on the Horizon? Call Us Today! All of our services are at great prices, but for those who can't stretch their wallet to a regular moving rate, and don't have too much to move, may consider our man with van services instead. With this, we provide a service that's basically the same but on a smaller scale. So if you're a student or just consider an overall 'smaller move', there is an option for you. We cover the entire SW20 area. One easy way to a successful home removal to Raynes Park, SW20 is through a trustworthy company like ours. We at Moving Service feel that we don't only provide one of the most affordable moving packages around, but one that is truly a cut above the rest. If you've got somewhere to move to, give us a call today on 020 8746 4402. Happy with their speedy service in getting us to Raynes Park SW20. The movers were professional and good-natured.